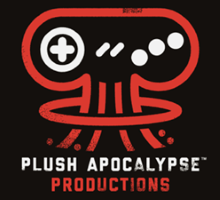 Borut Pfeifer is the founder of Plush Apocalypse Productions, which provides design and programming services for all varieties of game developers. Why, and how, our consulting services can help your project. 7 Best of Show Awards and Nominations for Skulls of the Shogun in E3 2011 alone. Currently looking for short term contracts or for design or programming - contact via borut@plushapocalypse.com for availability. Prototypes under development, current and past. Primarily active between 2007-2011, focused on design thoughts and game critique.